Dubai: Etihad Airways has flown the world’s first commercial flight using locally produced jet fuel derived from plants that grow in salt marshes or beaches. 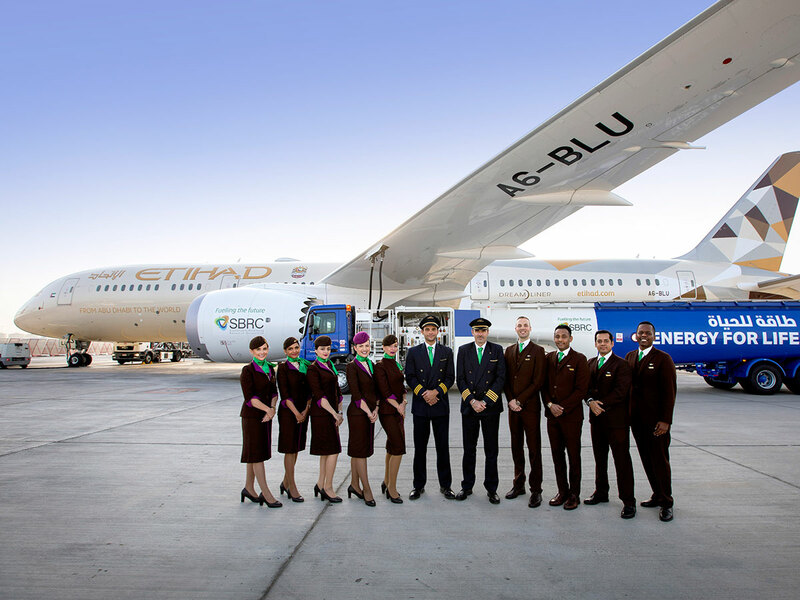 The landmark flight, operated by a Boeing 787 aircraft, flew from Abu Dhabi to Amsterdam, marking a major milestone in the development of eco-friendly alternative to crude oil to reduce carbon emissions. The biofuel plane was powered by General Electric’s next-generation 1B engines and flew for more than seven hours, taking off in the UAE capital at 9:30am on Tuesday and arriving in Amsterdam at 2pm, local time, a spokesperson confirmed to Gulf News. The special fuel used was produced in the UAE through the Sustainable Bioenergy Research Consortium (SBRC), a non-profit entity established by Masdar Institute, part of the Khalifa University of Science and Technology. It was derived from oil in Salicornia plants, also known as glasswort or picklegrass, which were grown on a two-hectare farm, the Seawater Energy and Agriculture System (SEAS) in Masdar City. 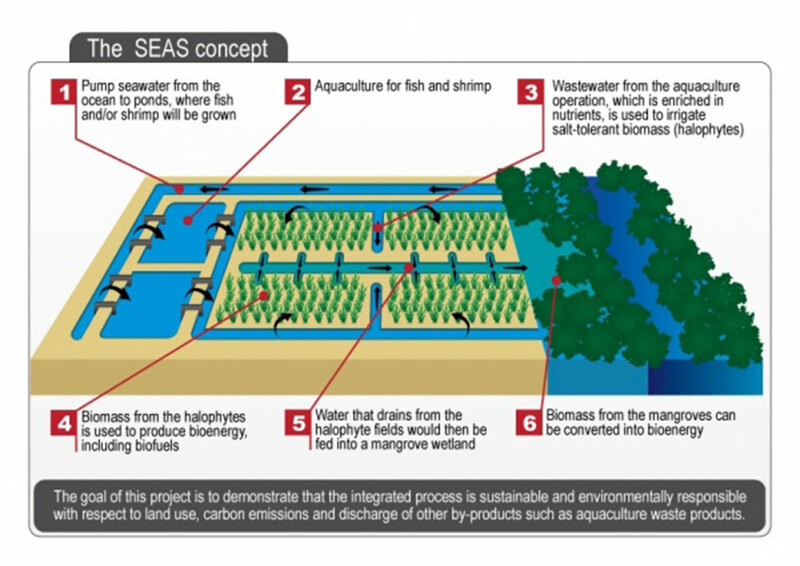 The farm is the world’s first desert ecosystem designed to produce fuel and food in saltwater. Fish and shrimp are raised at the facility to provide nutrients for the plants and contribute to the food production. Dr. Arif Sultan Al Hammadi, executive vice president at the Khalifa University of Science and Technology, said the development of the plant-based jet fuel “marks a new beginning” for the use of clean energy for air travel. “Khalifa University is proud to be part of the consortium, driving research and innovation, while contributing to creating a sustainable biofuel value chain, supporting the UAE’s strategic objectives in the energy and food sectors,” Al Hammadi said. “Etihad’s flight proves that SEAS is a game-changer that can substantially benefit air transport and the world. The research and technology being developed shows significant promise to transform coastal deserts into productive farmland supporting food security and cleaner skies,” added Sean Schwinn, vice president of strategy and market development for Boeing International. This is not the first time the aviation sector has utilized plants as energy for transportation. During a test flight in 2008, Air New Zealand used a jet fuel derived from the jatropha plant. The plane, a Boeing 747-400, flew for a couple of hours. The oil used was a 50-50 mix with traditional fuel. The first biofuels were certified for commercial use in 2011 and since then, approximately 160,000 passenger flights have already flown on a blend of sustainable and traditional jet fuel. Sustainable aviation fuel provides an opportunity for the aviation industry to meet its goal to cut down carbon emissions by next year.